When using the PopupXpert to capture leads, one common question that members ask is “Where can I see the opt-in contacts?”. Our answer had been “You need to link the popup with your own autoresponder”. That was when these members frown, because they didn’t have an autoresponder and were not ready to pay a monthly fee for one. Then one member feedbacked to me that all he needed was a simple way to capture leads and requested that we provide this service. After much consideration, we decided to add an autoresponder into our system. First, go to ‘My List‘ and click ‘Add a new list’. When someone opts-in to your list, our system will automatically send an autoresponder to this person. If you provide an opt-in offer, you can use this autoresponder to deliver the offer. Otherwise, you can write a simple welcome message. It is a must to set up the autoresponder, otherwise, the double opt-in function will be disabled. To set up the autoresponder, simply click the button shown below and fill up the details. It is important to note that you must enter a valid and reachable email address for the autoresponder so that you can be contacted. If you want broadcast emails to the list, you’ll have to set up the SMTP mailer. SMTP is a mailing feature provided by most web hosting companies. 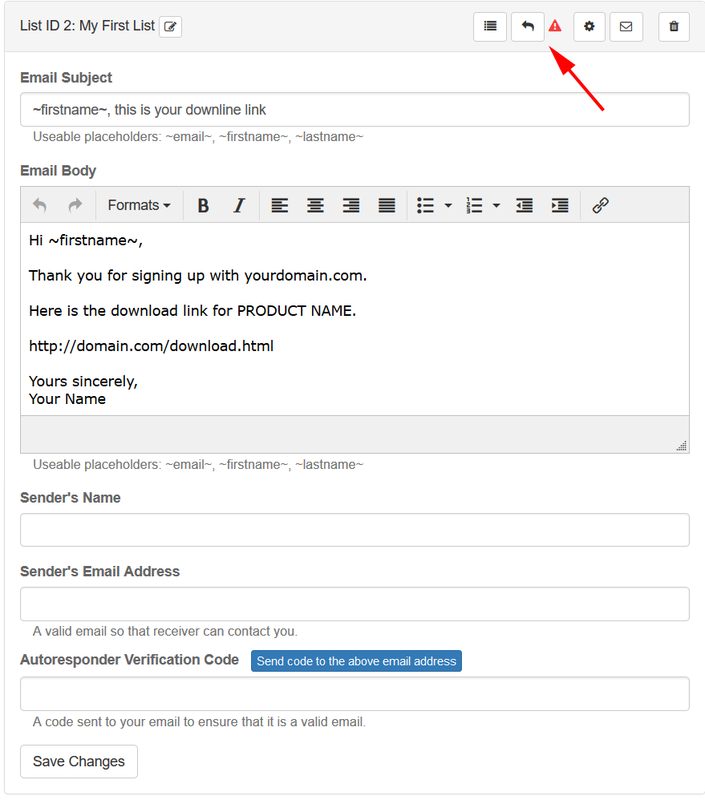 It allows you to send emails via your own domain. To set up the SMTP, click Button 1 shown below. You may have to contact your hosting support for the correct parameters to enter. Once you do that, you will be able to broadcast emails to your list. To broadcast an email, click Button 2. Warning: Gmail provides free SMTP service, but it is against their terms to use it for mass mailing. It’s best not to use Gmail SMTP for this purpose. Some companies offer free smtp service. Simply google ‘free smtp’ and you’ll find plenty. What is important is check their terms. Some of them do not allow email sending in the IM niche. To capture leads, you need to use the PopupXpert to create an opt-in form. For those who are new to the PopupXpert, it is a powerful widget creator that you can use to create both onpage widget as well as different kinds of popups. To link the popup to your list, you simply have to click on ‘Opt-in Form Settings‘. Select ‘Internal List‘ and click ‘Get List ID‘. Click on the list that you want to link to and click Save. When people opt-in, the system will automatically verify their email addresses and send them the autoresponder message. If you have set up the SMTP, you can send broadcast emails to them. Otherwise, you can contact them one by one, since you now have their email addresses. The autoresponder doesn’t come with automatic follow-up feature, i.e. you cannot set up a series of follow-up emails. If you want to do that, you’ll have to use a professional autoresponder service or use our OTO List Builder script. Although the autoresponder system is not comparable to professional autoresponder systems, it is a free and neat alternative for budding netrepreneurs. Give it a try. I hope you’ll like it. Thanks Kenneth, you always surprise us. It’s awesome to have our Free Autoresponder. It’s a present from heaven for me because i don’t have enough money to pay for an Autoresponder…..! Thanks very much….! You’re welcome Dimitrios. Hope you like it. Hi I know where you can get a free autoresponder for free with all of the bells and whistles. I hope this is o.k to put here. This is the only site that give you real help and how to manage your online business, Thanks Kenneth. I really appreciate your commitment to your subscribers. You continue to improve a program that already offers so much for free! There are a lot of newbies out there that are not building a list. This gives them no excuse. Now they can capture leads and send out broadcasts for free. This is also great for people like myself who already use a third party autoresponder. I personally don’t need another autoresponder but I can always use more Leads Leap referrals. This will be yet another reason for people to join. Do you plan on creating a landing page for this like you did for other tools? I was thinking, what if the autoresponder could be linked with one of the free downloads that Leadsleap already offers? ( perhaps “One Signup A Day” or “Insider Advertising Report) That way even complete beginners or people with a very limited budget who don’t have a website and a hosting account could start building a list. I agree with Nequan, LeadsLeap is probably the most valuable free opportunity now and very easy to promote. It’s really great to be a part of this and lets all do what ever we can to spread the word about LeadsLeap. This is a vary neat feature you added. I’m sure many members, like me, love this new add-on. I don’t really understand where to start if this is the autoresponder manual. Maybe if someone out there has clarity, they might try a video tutorial? I feel kind of lost too. 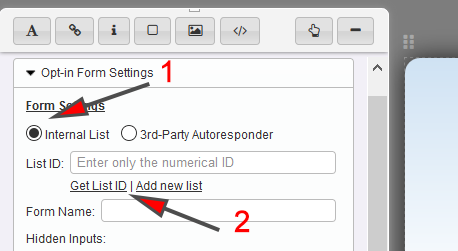 Earl, I’ve added a Step By Step Guide in the autoresponder setup page. Hope it helps. Although this is a nice feature, most people will not have their own domain and hosting to set up the SMTP service and won’t be able to get it set up. Several will try to set up with Gmail and then get into trouble. Those that are experienced will not use this feature as they use a professional autoresponder. Indeed, this feature is meant for beginners. I believe I have been clear on the limitations of this system. I can’t believe your giving all this for FREE! Amazing! I Think It Rocks, Can’t Wait To Start Using It Daily! Thank You So Much For Offering It For Free, Leads Leap, I Would Pay For This Anyway! I just joined this website, although I have yet to build a list, this free autoresponder has given me an extra option. I was thinking of getting a getresponse account but now I am thinking of installing this on my website. I just need a lead magnet and I will be set. Hey everyone. I am very new in leadsleap and I would like to know if can the downline contact the upline for some help? I don’t know what I have to do. In your Member Area, you can see your upline messages. Click on their avatar to see their profile. Some uplines provide their Skype or Facebook page. You can then contact them. However, if your upline do not wish to be contact, you will not be able to contact them. thank u for u help . Thanks for sharing the content. Definitely, I will keep in mind all your tips. And implement on the working process. Thank you for this, Kenneth. It’s a real refresher to have something like this which will definitely be useful to my list building. Need to utilize it wisely and diligently. Does the OTO Listbuilder script work on subdomains? I have a problem sharing and I can not sign in to Twitter, Facebook and some other sites without joining vpn, so my ip I will change, please guide me What should I do? Lot’s and let’s of them trust me thumps up. Great greeting for Kenet, I am from Serbia, I recently discovered this excellent website that provides countless opportunities for internet business. I am particularly interested in the autoresponder here who is free here, as well as everything else. Today, I created an email list and I tried to link it to the autoresponder, but I did not manage to upload it to my site, I care about it, I’ll try to fix it. Many thanks and success in the work. A much-awaited feature has just added. It will save a lot of money for me. Now it’s no need to link the popup with an autoresponder. Everything is there within the dashboard. Great feature. Really helpful for me. I am waiting for something like this. And you guys solve my problem. Thanks A lot.